Fonon Additive Manufacturing Technologies encompass 3D FUSION TECHNOLOGY or 3D Laser Metal Sintering (Commonly known as Printing) Technologies. 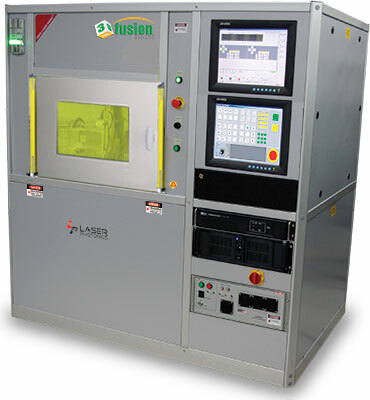 Fonon's 3D FUSION™ or 3D Laser Metal Sintering (Printing) process is an emerging additive NANO Powder Manufacturing Technology with a presence in the medical industry as well as Manufacturing (Mold fabrication and Repair), Defense, aerospace and high technology engineering and electronics sectors. 3D Laser Metal Printing is a layered, digitally driven additive manufacturing process that uses high quality focused laser energy to fuse metal NANO powders into 3D objects. For the best performance Fonon’s systems are optimized for nano powder with a certain specifications. To ensure consistency Fonon sells a range of nano powders to ensure the best performance of our precision 3D laser sintering process. We solely develop all 3D Direct Metal printing systems for specific customer requirements, targeting maximum performance for 3D printing of specialized designs, parts and applications. Our designs allow customers to optimize expensive nano powder consumption, reduce inert gas flow rate, optimize throughput verses surface roughness, minimize powder fill up volume in the process chamber, define optimal laser power requirements, optimize system costs in relation to application (design for the warhead 3D metal sintering system is different from the design of medical contact pads mold forms prototyping, even if they have the similar horizontal cut dimensions). Combined with our extensive experience of integrating Vision systems into laser equipment, and our 3D engraving capabilities experience with submicron accuracies of non-dimensional Zero Width Laser Cutting Technology™ equipment together with real size shipbuilding laser cutting machines, positions us as one of the preferred premium suppliers of the revolutionary 3D Metal Fusion Equipment utilizing the Direct Metal Sintering process in “high volume additive manufacturing” or prototyping of the most challenging and sophisticated parts and components in the Industry. From tooling inserts featuring conformal cooling channels, through to lightweight structures for aerospace and high technology applications, 3D Laser Metal Printing significantly reduces the constraints on designers. This design freedom results in optimized structures and shapes that would otherwise be constrained by conventional processes or the tooling requirements of large volume production. 3D Laser Metal Printing helps to reduce lead times, reduce tooling costs and permits the creation of designs not previously possible.